Tom y los toques. The most curious Mexico City tradition I have seen yet. 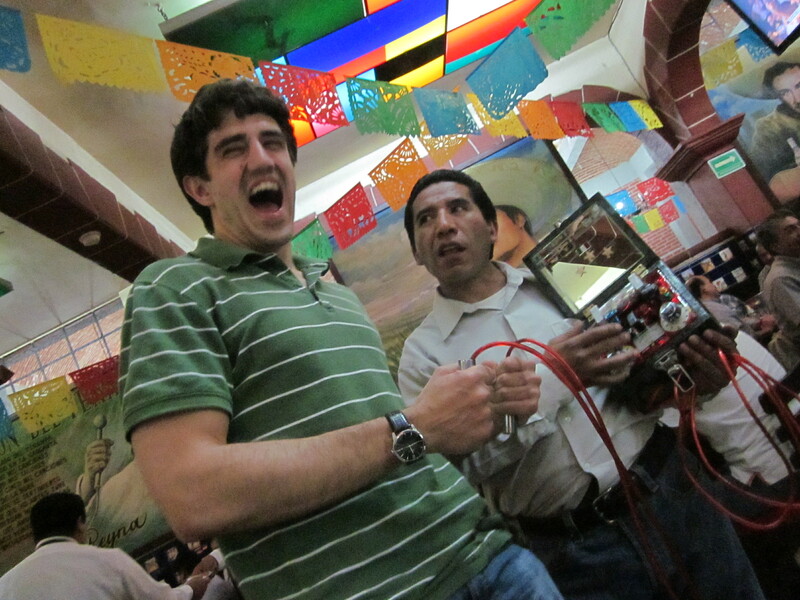 You pay this guy $50 pesos to hold the cords and get gently electrocuted. I thought I was just posing after we did a group shock, but then he flipped the switch.